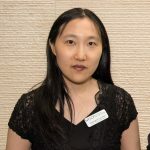 During her fellowship, Dr. Cao aimed to develop a treatment to target the environment that surrounds cancer cells rather than the cancer cells themselves. This environment helps the cells to survive and expand by providing molecular signals for chemotherapy-resistant cancer cells. By eliminating these environmental shelters, she worked to provide a new clinical approach and strategy for treating a wide-spectrum of chemotherapy-resistant tumors. She continues her research at Weill Cornell. She completed her postdoctoral studies at Weill Cornell in Dr. Shahin Rafii’s lab.